A brief review, more like a few notes really. So, after being on strike for the better part of six weeks...grrrr...the bloody Post Office slackers have decided to get back to work deliver, err, vitally important parcels. One of them contained the figures for my HG Panzergrenadier Project (more on that later), another contained something I bought on a whim, a figure case from Feldherr. The Mini Plus bag can hold a max of four trays with bases, mine being selected with my 7th Armoured Cromwells in mind. Each tray requires a base: the trays have a layer of self-adhesive contact-like glue and are 25mm/1 inch deep, meaning you can stack them if desired or simply glue to the foam bases. Trays for tanks have separate slots for storing turrets and, being 25mm deep, leaving the turrets on the hulls, even if magnetised, will not work for all but the smallest tanks or for assault guns. 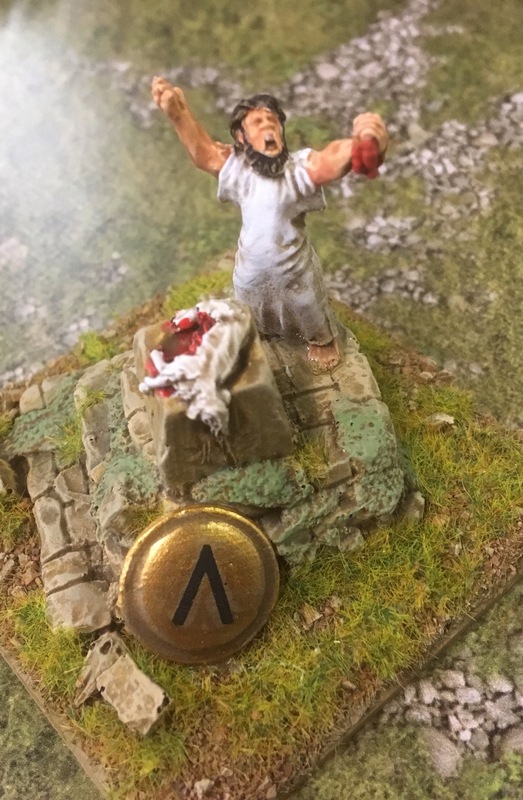 I took a few quick pictures below, but you can judge for yourself on the Feldherr website or on the Wayland Games website. The yellow paper is the backing to the self-adhesive, not removed here yet. Pictured below are a StuG G, a Panther A with two turrets shown in the turret slots, and a Zrinyi II. The assault guns fit fine, the Panther is a tight fit, too tight really, and was placed for interest sake: the large tank trays obviously being better for large tanks. Standard Sherman, Panzer IV and similar-sized vehicles will fit the medium tank trays just fine. In front of the Zrinyi II you can see the small foam rasters which can be removed or left intact as desired. The infantry tray can hold 12 Medium bases and 6 small bases. As shown below, they could also be used to hold smaller vehicles, pictured a Stuart and a Universal Carrier as examples. While the infantry trays may not be useful if you're fielding a Battalion of Soviets or something similarly large, they work well storing, say 2 x full British Rifle Platoons (12 Rifle/MG, 2 PIATS, 2 Light Mortars, 2 Command Teams) or a pair of German Grenadier/Panzergrenadier Platoons with some HQ bases. The actual bag is very good quality, excellent materials and stitching throughout, a very robust feel. A small section on the top of the case has sufficient space for a mini Flames of Was rule book or any similar A5-sized book. For my 7th Armoured force the three medium tank trays will work fine, though the infantry case is overkill (only one Rifle Platoon to support the Armoured Squadron). I intend to get another medium tank tray, leave one side as-is and modify the other half to carry a single rifle platoon: easy. This will allow me to carry the Squadron HQ with 2 Cromwell CS, 4 full Armoured Troops, 4 M10c Achilles, 3 Recce Stuarts and a Rifle Platoon, easily covering all the usually options I field. With free shipping the case (with 4 trays and 4 bases) came to £28.45 for me. Considering the amount of time and effort I spend on my figures, I think some money spent on proper protection is well worth it. While maybe not suitable for larger armies, this size will work just fine for the average-sized forces I tend to field.